A wild and challenging 5-day trek, camping on an island at the southernmost tip of Patagonia. Flights to Isla Navarino are included and the aerial approach surveys the mountainous terrain around the moody Beagle Channel, where you'll be hiking through lonely forests and over passes covered in year-round snow. Drive to the airport of Punta Arenas for your flight with a twin-engined Twin Otter to Puerto Williams. You fly over the Strait of Magellan until the gigantic Darwin range emerges in front of you with its countless glaciers and steep rock faces, most of them never touched by human beings. An unforgettable flight as introduction for this hiking adventure waiting for you. 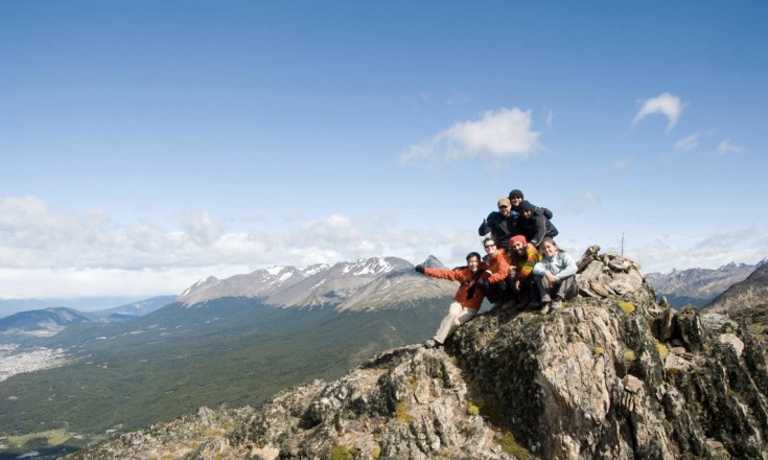 In Puerto Williams, make the last preparations for the 5-day-hike and start walking. You cross dense forests of southern beech and wetlands. From time to time, look back and enjoy the view over the Beagle channel. You set up camp on the shore of the Laguna Salto. After a steep uphill climb from Laguna Salto to Paso Primero you reach a mountainous area with year round snow. Cross Paso Australis, with its 805m the highest point of today, and Paso de los Dientes. If the weather is good, you can see the archipelago of which the famous Cape Horn, the most southern point of South America, is part. Today you walk through one of the most untouched parts of Isla Navarino. Only very few people explore this savage landscape. From Paso Ventarron (696 m) we can see that there are many more mountains hidden behind the Dientes de Navarino waiting to be discovered. This is the perfect day to enjoy the loneliness of this place and its pristine nature. Today you climb once again. 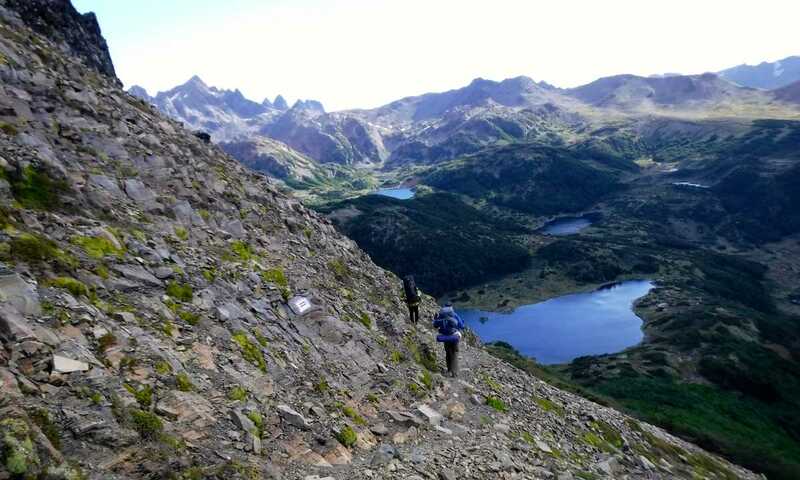 The ascent to Paso Virgina brings you to the highest point of the whole hike, up to 859 m. From up here you can already see the place of your next campsite on the shore of Los Guanacos lagoon. Take your time for the steep downhill descent. From your campsite you have a spectacular view over the Beagle channel. On the last day of the circuit you will make your way back to Puerto Williams crossing densely wooded areas and enjoying once again an amazing view of the Beagle Channel. 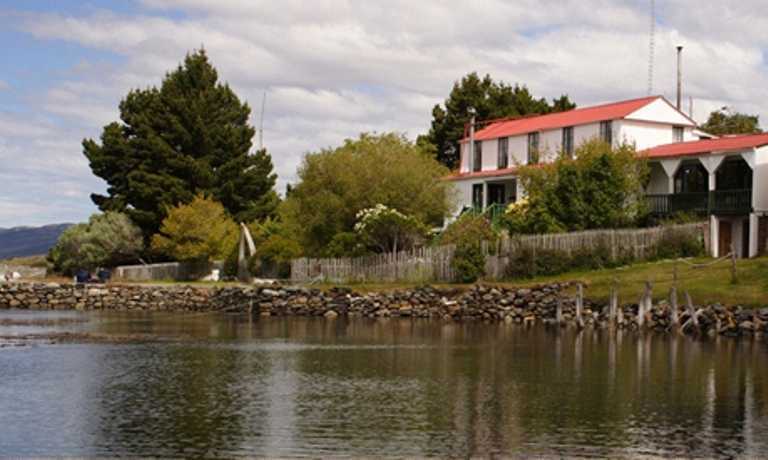 In Puerto Williams you have some free time to get to know the most southern town of the world and to learn more about the original inhabitants of Tierra del Fuego. Farewell dinner in Puerto Williams. It is time to say goodbye to Isla Navarino. Fly back to Punta Arenas, and enjoy the spectacular views of the Darwin Range for the last time. Transfer back to the center of Punta Arenas. This trip can run as a group trip, with prices starting from $2,500 per person for a complete group. If you are looking to join a group or you are a solo traveller we will help to form likeminded groups of travellers. Please let us know your travel plans. Price of $2500 USD per person is indicative based on a group of 4 people. New departures can be set up for a minimum of two people subject to availability of guides. Please get in touch for more details. It is also possible to start the trip in El Calafate.